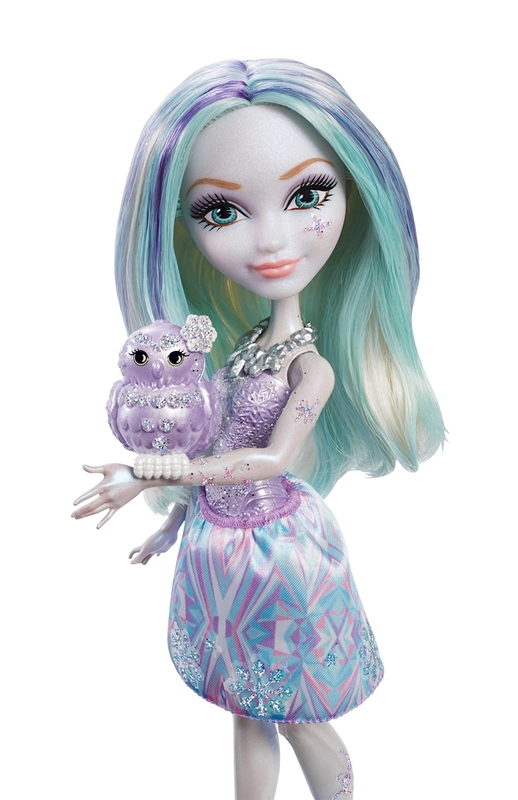 Ever After High™ experiences a magical snow day in the all new Netflix Original Series “Epic Winter,” but is it to be forever after? 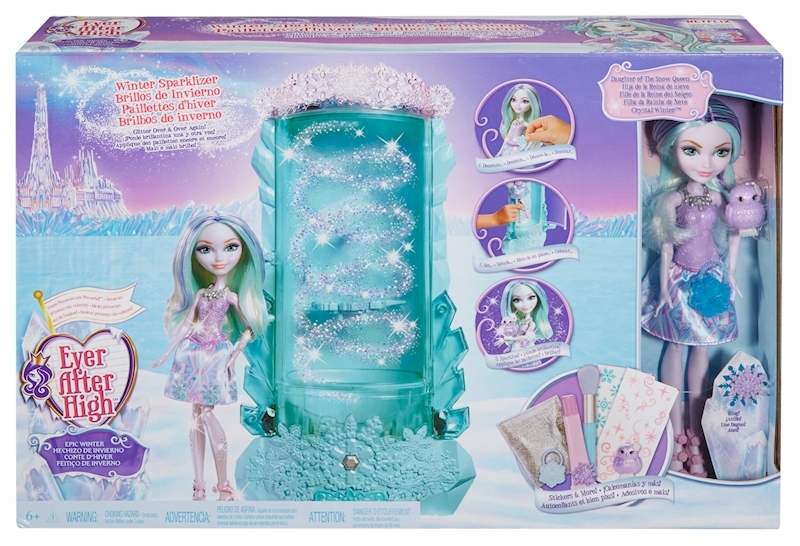 Create your own winter magic with this “sparkalizer” inspired by new character Crystal Winter, also included and wearing a cool outfit! The daughter of the Snow Queen is able to create snow and crystallize objects around her. 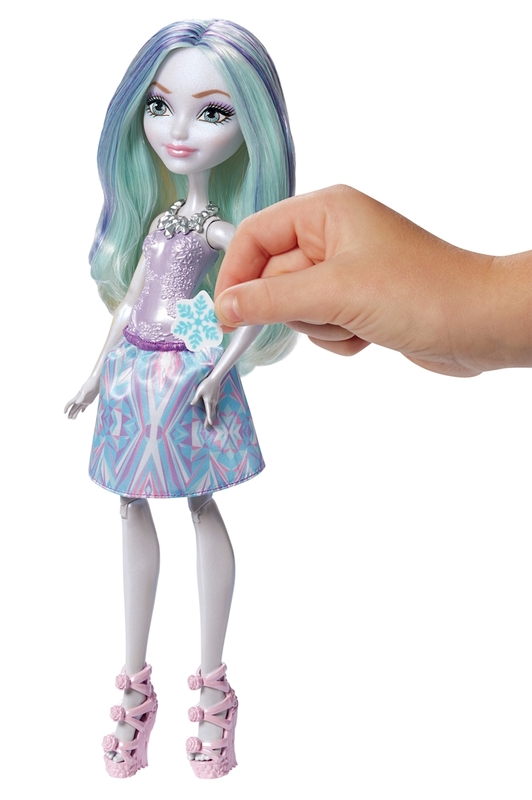 This chamber recreates the fun by adding winter glitter to dolls and accessories placed within it. Use is simple, and easy-to-replenish supplies are included: glitter, a washable glue stick and stickers. A child-sized purse and ring help to get a collection started. Plus, an adorable pet owl, with spot for display on the sparkalizer.